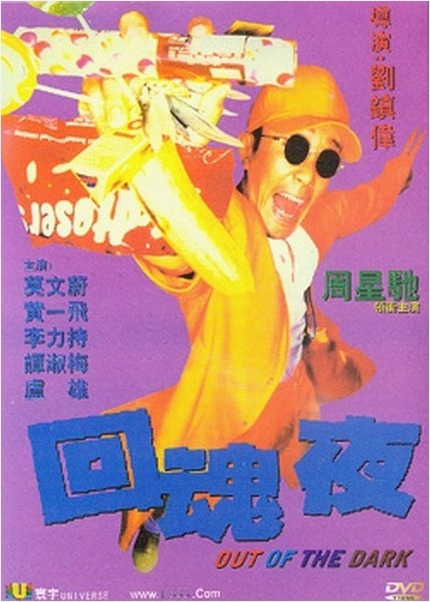 Before hitting worldwide stardom with his incredibly popular duo of Shaolin Soccer and Kung Fu Hustle, Stephen Chow was one of, if not the biggest box office draw for the local Hong Kong audience. 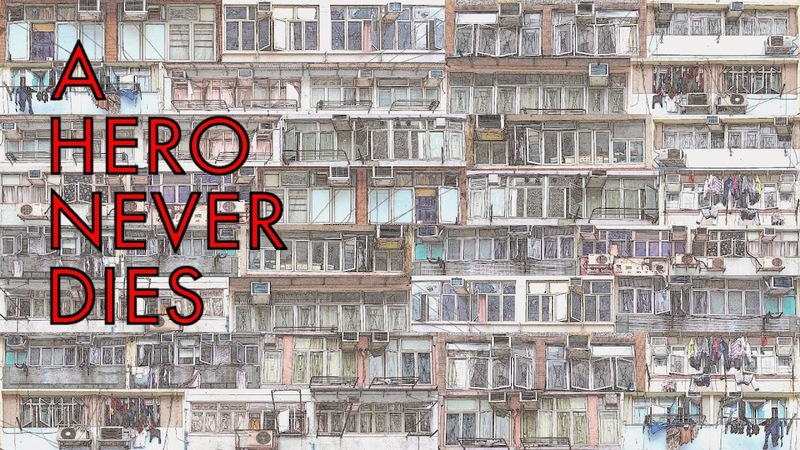 His home popularity built to start with at least on a succession of cheap and quickly made comedies, that the local audience lapped up, leaving Chow with some of the highest box office earning films in Hong Kong's history. Considering how bankable Chow was during the mid 90's, some of his output looks incredibly cheap, which brings me to Jeff Lau's Out of the Dark. I'd seen Out of the Dark before (it was one of the masses of vcds I brought back from my first visit to Hong Kong in 1998) and remembered liking it quite a lot, for this revisit I watched the remastered Shaw Brothers dvd release and I'm sad to say time hasn't been kind to the movie, I found sitting through it again quite a grating experience. Director Jeff Lau brings his customary energy to the proceedings but the film has so little story, this energy is wasted on what is effectively a sketch movie with horror overtones, filled with the obligatory movie references, Chow's trademark Mo lei tau verbal humour and hit or miss slapstick. Chow's critics may argue this is the template (minus the horror part) for his movies but the plot here is so slight it's laughable. The film is also darker in tone than most of Chow's other work and pretty mean spirited with Chow really pushing this side of his persona, perhaps too far, as of all his movies, this is apparently one of his least popular movies in Hong Kong. Out of the Dark does have it's amusing moments of course (the dynamite scene in particular) but it really is so hit and miss, this is by far one of Chow's weaker efforts considering the talent involved. The feature of the film I enjoyed most is Karen Mok's performance, sending up her own character in Wong Kar Wai's Fallen Angels. 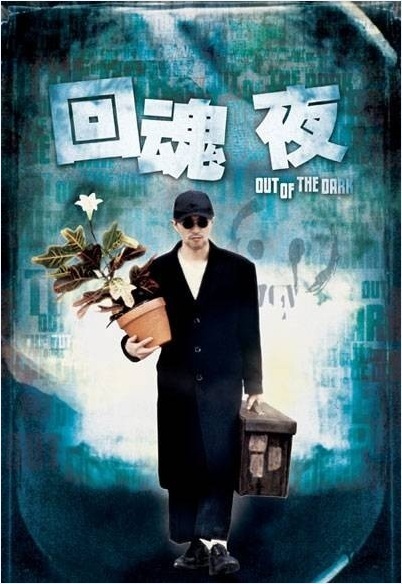 Based on my recollections of the film, I was really disappointed on my revisit of Out of the Dark, while the film does have it's fans within the HK film community, I would no longer consider myself as one of them, and it's definitely a film to "enjoy" with judicious use of the fast forward button. This isn't my favorite Jeff Lau film, either. Although I much prefer it to his recent "Metallic Attraction" film. The final paragraph of your review perfectly sums up my feelings as well. I much prefer Haunted Cop Shop 1 (co-written by WKW), Mortuary Blues, and Operation Pink Squad 2 (Thunder Cops) in Lau's filmography. I've been watching Ricky Lau and early Ronny Yu flicks these last few days, and it's quite evident that Jeff Lau is heads above most of his contemporaries. Great stuff as usual, AHND, and I hope you have a great weekend. My fav Jeff Lau! Love Chow in this film. I like it, probably because I haven't watched it in years, and about the only think I remember is "Karen Mok shaved her head," which I thought was awesome.